Accounting software has to be easy. If it is too difficult to use, small business owners just throw up their hands in exasperation. With that said, Xero’s greatest feature is its ease of use. If you can use a word processor or a point-and-tap mobile app, you can use Xero. In addition to being easy to use, Xero is also easy on the eyes. Some even go as far as to say it’s beautiful. Why does this matter? Because staring at an ugly application all day is not going to help you run your business any better. Over time, it might even cause you to ignore your accounting because you don’t like using the app. Xero is cloud-based. That means none of your data is stored on your devices. It is all online. This means you have access to all things accounting no matter where you are or what device you want to use. You can handle daily bookkeeping tasks from your computer, mobile phone, or tablet. Once you set up Xero, it is fully integrated with all your bank accounts. You never have to manually enter data. Every time you turn the system on, you will instantly have access to all the transactions in all of your accounts. It is like having your own personal banker at your disposable 24/7. Xero places no limit on the number of users. That means every member of your accounting and financial team has access to the platform around the clock. You can all work at the exact same time without interfering with one another’s data. Because Xero runs in the cloud, it just works right out-of-the-box. You don’t have to install any software or build databases. You do not even have to worry about updates or running backups. Everything happens automatically in the background. All you have to do is set up your accounts. Unlike some other cloud accounting platforms, Xero comes with a fully integrated mobile app at no extra charge. Xero Touch makes it easy to run your business on the go. Right from the app, you can send invoices and request payments. Your customers can instantly pay online, meaning you get paid faster. If you’ve hired an accountant or bookkeeper to assist with your finances, you can grant them access to Xero as well. Xero will allow that person to perform more advanced tasks not suitable for your in-house staff. Cash coding is one example. Do you use other business and e-commerce platforms like PayPal and Gusto? If so, there’s probably an app for them in the Xero Marketplace. Marketplace apps integrate all of your external functions with Xero for easy and automatic data transfer. The Marketplace includes apps for point-of-sale (POS), inventory management, payroll, and more. 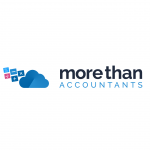 Last but not least, using Xero makes accounting and bookkeeping a pleasure. It is so intuitive and efficient that bookkeeping is no longer a tedious chore. Try it once and you’ll wonder how you ever got along without it.